This is a three year old report from the Sikh Sangat News being posted in Lahore Nama as very little difference has been made since then. Sher Singh Baradari is being ruined like many other Sikh era relics. 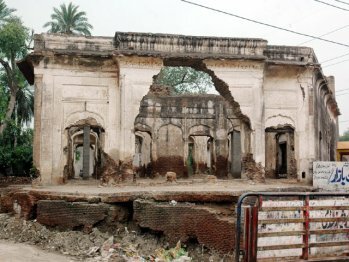 Lahore, Pakistan: Proposed conservation plan of Parks and Horticulture Authority (PHA) to preserve an important historical monument of 19th century Baradari of Sher Singh is in doldrums due to lack of funds and the existing structure can collapse any time, TheNation has learnt. The sources said that the Archeology Department had prepared a feasibility report for the conservation and renovation of the Baradari’s structure on the request of PHA about three months back with the estimated amount of Rs 22 million. They further said that PHA also allocated Rs 32 million for the preservation of historical monument and also adjacent garden but despite lapse of three moths, the department could not manage the amount. The monument, which is surviving with skeleton, was declared protected under Antiquity Act 1975 but not a single plan had been carried out to preserve it. 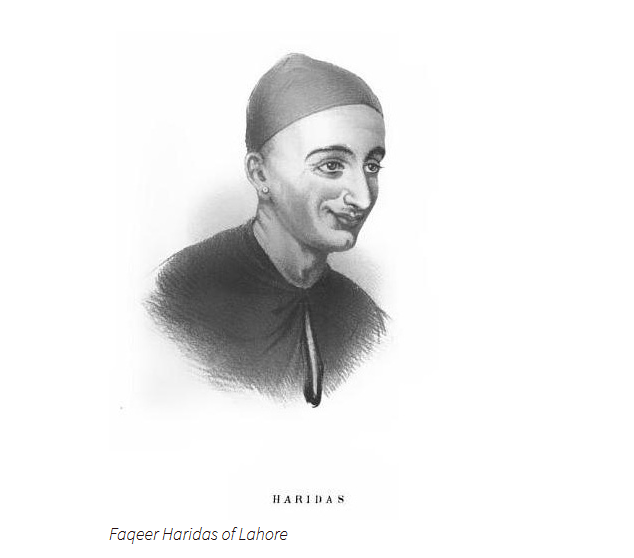 THE MAGIC OF HARIDAS LAHORI! BURIED FOR FORTY DAYS; WONDERFUL PERFORMANCES OF THE INDIAN FAKIRS. We are not told whether the Seven Sleepers who retired to a cave in Ephesus during the reign of the Christian-killing Emperor Decius, and only woke up 155 years afterward, when Theodosins II was on the throne, made any special preparation, but probably they did not. Perhaps it was not necessary. Those were stirring times for members of the new faith, and they had little opportunity to grow obese. But, as a rule, to fast successfully it is said to be necessary for a man to abstain beforehand, and reduce himself more carefully to the required condition by a long course of preparation. Pre-eminent at this art of suspending animation—for an art it becomes—are the Easterns, and most wonderful stories are told of the natives of India, which, whether they powers are due to narcotics or any other process, seem to open up—if true—a wide field of medical study.